do, but in hindsight I can see how she might have taken it the wrong way. Back when I was still hooked up to flesh and bone, I made my livin' as federal marshal for the Arizona Territory. I've always been on the right side of the law, keepin' the peace and bringin' criminals to justice. To be honest, I didn't consider the tire slashin' a crime, but rather a means of preventin' a crime. Rory was smart enough to insist on meetin' this new guy, Aaron, at the restaurant. But sometime during the meal she went and lost her head. When he suggested goin' to a jazz club afterward, she didn't hesitate for a minute. She even agreed to ride there in his car. What if he tried to get her drunk and have his way with her? I had to do whatever I could to stop them. As it happened, Rory was not only angry about the tires, but also about the fact that I'd been hangin' out in the ether keepin' tabs on her. She seemed to think that just because Aaron was a pediatrician and an actor in her aunt's amateur troop that he couldn't possibly pose any threat to her. 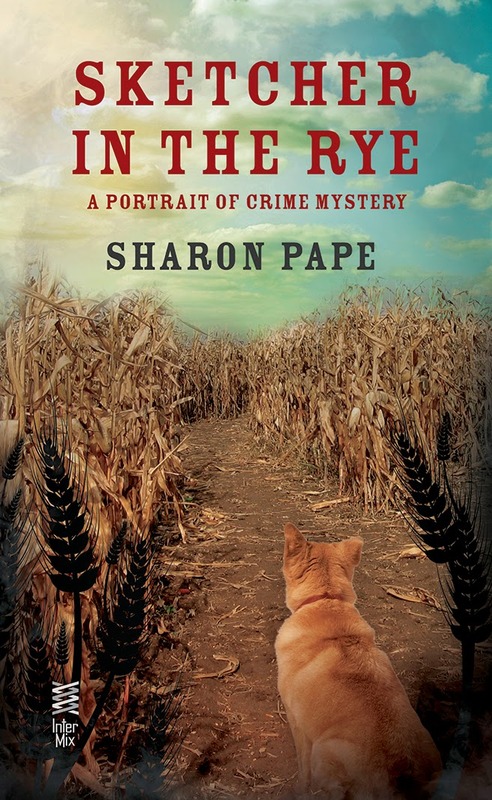 In spite of her experience as a police sketch artist and private detective, she can be awfully naive about men. One of her boyfriends turned out to be a drug dealer who would have killed her if I hadn't intervened. Of course, bein' the feisty, little redhead she is, she still insists she didn't need my help that day. It's one of those things we'll probably never sort out to our mutual satisfaction. Fortunately my concerns about the baby doc have so far proven to be groundless. Still and all, I don't intend to let my guard down just yet. The world has changed for the worse since I was alive, and I don't much approve of the changes, especially with regard to the relationships between men and women. Propriety has been tossed out the window. I can only wonder what the future will be like if society continues on its present course. At Thanksgivin' dinner this year, Rory and Aaron were sittin' on the couch, when he leaned over and kissed her, even though someone might have come upon them at any moment. I'm not talkin' about a chaste, little peck on the cheek either. There was considerable heat to it. In addition to bein' taken aback by such a public display, I was actually a mite jealous. I found myself imaginin' how it would feel to hold Rory in my arms - if I still had arms, that is. Could part of my objection to Aaron be a matter of jealousy? I don't want to believe that the slashin' of his tires was motivated by anythin' more than pure concern for Rory, but if it was, I need to own up to it for the sake of our partnership and livin' arrangements. I've got some serious cogitatin' to do on the subject. Could be I owe her an apology. I can't apologize to him, because he has no idea I exist. Truth be told, that's just fine with me. What punishment do you think Zeke deserves for his crime prevention method? Leave a comment and your email address for a chance to win one of my books. Zeke is a sweetie. He does'nt deserve any punishment....maybe a good talking to..and a cold shoulder for a bit..but nothing serious.I think Rory would understand him better, if he spoke more openly to her.I bet she feels the same towards him. but has not admitted it to herself yet, plus, he is not "here"..makes it hard for a relationship! No punishment is necessary....he's just looking out for her well-being. Its some times hard to accept what others do when they only looking after our well being. I'm not sure about a punishment. His heart is probably in the right place, but can you imagine Rory's outrage and embarrassment when she realizes she has an audience for her make out sessions? It's worse than being a teenage girl with a ten year old brother. I think Zeke meant well but he needs to let Rory make her own choices. 50 lashes with a wet noodle, that should do it! No punishment for Zeke! I am looking forward to reading the next in the series. No punishment, he was worried about Rory. Bad boy! He really does need to do some cogitatin' and get his head straight. I'm not sure how she'd punish him other than try to ignore him. But that's not going to work. He'd just weasel his way back in. I can always use a new book! it's just Zeke being Zeke--not punishment needed. Rory acts like a spoiled brat towards Zeke and she should be happy he always has her back.I sometimes think Rory is too mean to him, so No punishment for Zeke!! Hmm. Perhaps Zeke shouldn't be allowed to ride in cars...if he's able. Destruction of property is not acceptable...even if it's for a "good" cause. No punishment. I like that he looks out for her. how exactly can Zeke be punished? She can tell him to stay out of her love life, but would he? i think not. Worst punishment for him is for her not to acknowledge his presence. if he could read Aarons mind and know his true intentions then slashing the tires would have been perfect. No punishment. Seek is trying to look out for her. Thanks for the cool summer contest giveaway. Zeke has a thing for Rory. Punishment probably won't work. I have not heard of this book/series but know I will love it just from reading your post! I love Zeke's way of talking - I can actually hear it in my head - very well done. 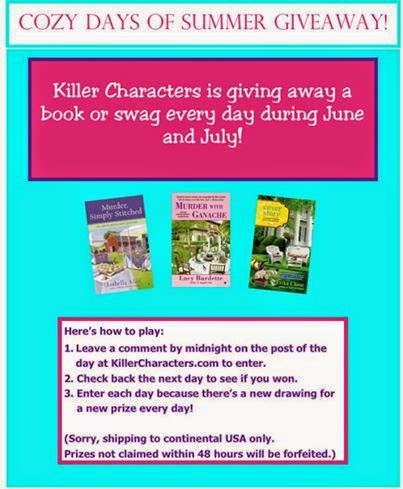 My name is Babs and my email is babsnature@gmail.com I would love to win a book so I can start reading this series!! I love this giveaway a day! Even if I do not win, look at all the books I am finding out about! I'll take that book, please! !